← Finding [or Remembering] Your "Why"
Um…what?!?! I’m guessing that’s partly not eating well and partly the large meal I had last night. I was very surprised with what I saw on the scale, and quite honestly decided “Whatever.” after I got off. I’ve been back exercising this week, but the food hasn’t been that great. The good thing about this weight is it gives me a strong starting point for my diet. Yes, I’m going to call it what it is. After a month or so of thinking about it I’ve decided to join up with a diet plan to help me get back to better food choices and get these 20 pounds off. I know it definitely seems like a fad, and maybe it is, but after reading a lot about it, and then finding out three of my friends have been following it for almost two months, I decided to give it a try. Beginning today I’ve started the 21-Day Fix. This plan can be repeated, as many times as needed, but you do it in rounds consisting of 21 days at a time. 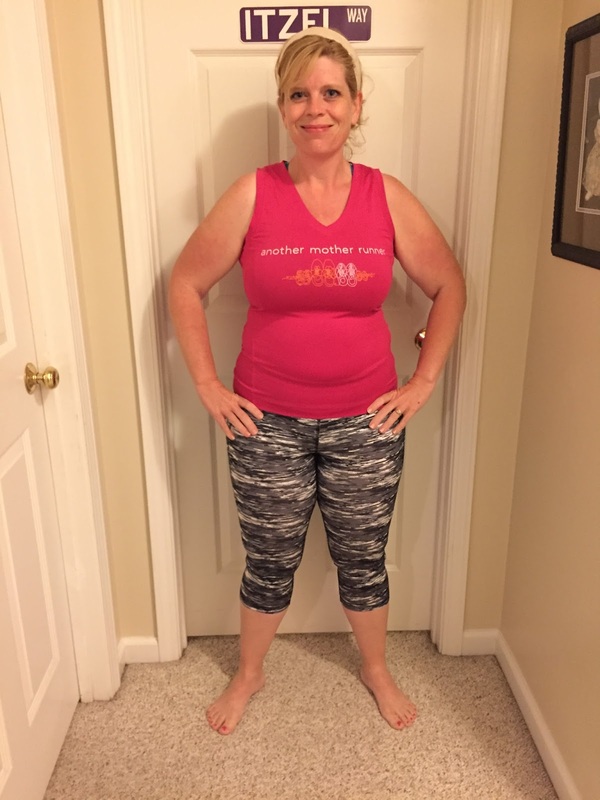 My official 21-Day Fix “Before” Shot. I know. I know. It’s so fad’ish. But bear with me. I have 21 days that I can commit for sure to something stricter to get me back on track. The main sacrifice will be no added sugars (SWEETS as a treat RARELY), but I know I can do this for 21 days. The food is all store bought — healthy meats, fruits, veggies, healthy fats, carbohydrates. There are lists of food to pick from that are on the healthier end of things. Plenty of choices and a very balanced plan daily. The exercise is 30-minutes a day using the DVDs included in the deal. They are workouts consisting of a mix of strength and cardio. There are these handy dandy containers to measure each type of food in, and then you check off how many you’ve eaten per day, staying within what you should have to fit your calorie budget. No counting calories, just servings. So, it’s been years since I’ve followed any kind of “diet”, but I’m giving myself over to one for now. It will take guesswork out for me and get my tastebuds and mind back to smaller portions and healthier choices. I’ll continue posting my weight here weekly and I’m sure I’ll be blabbing a lot about it over the next few weeks. Wish me luck (or don’t…it’s okay…I’m doing this for me and not you. [grin]) and here’s to getting back on track! Good for you, Leah! And who cares if it's a “fad” as long as it works for you! I get so tired of the internet “noise” over what's the best way to do this…do what works for you! Good luck – I'm cheering for you! Looking forward to seeing your results! Good luck!